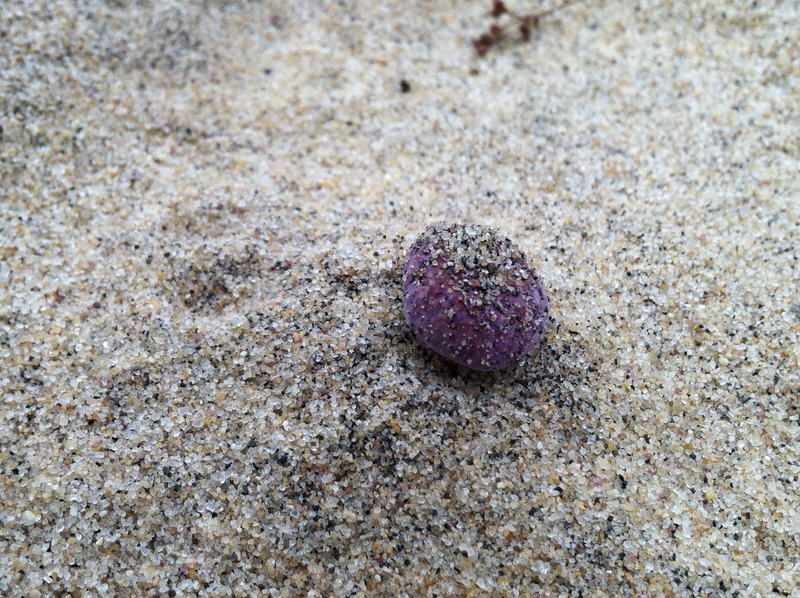 As I mentioned in a recent post, Cranberry Coincidence, one of the highlights of my recent trip back east was hiking around the Walking Dunes in Hither Hills State Park. An absolutely amazing place! 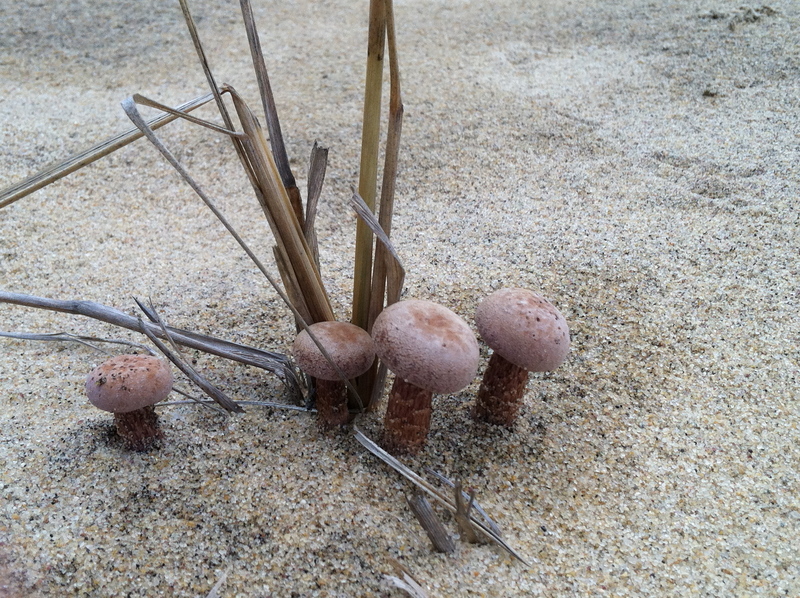 One of the things that tickled me were all the mushrooms – most of which were popping out of pure sand! I come from the wet, green, Pacific Northwest. 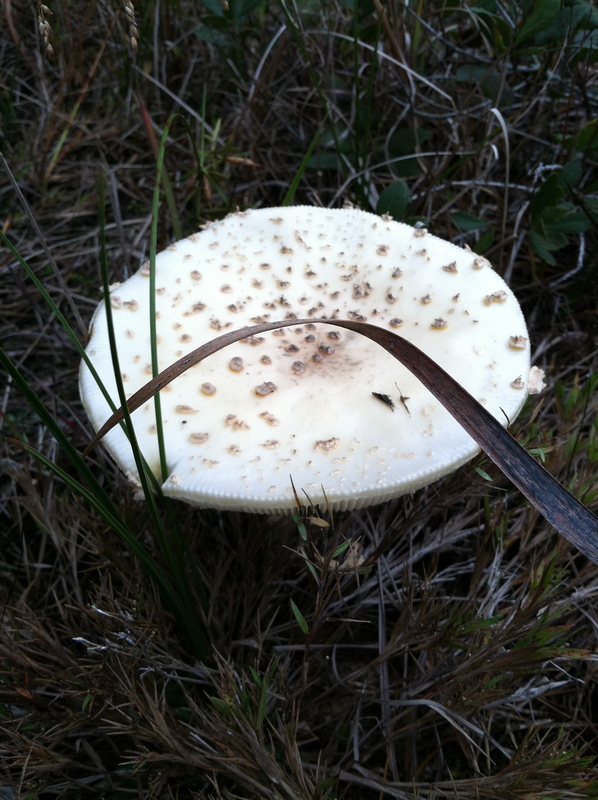 Mushrooms pop up suddenly there too – but out of the thick humus our abundant vegetation provides (upon its demise and decomposition). Seeing mushrooms popping out of sand blew me away! 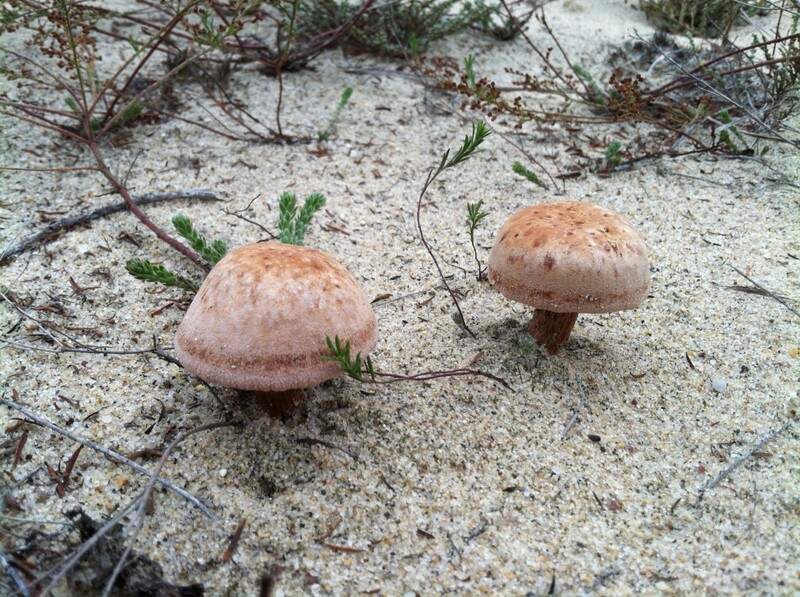 So here is a small collection of the mushrooms we saw on our walk along the Walking Dunes trail. 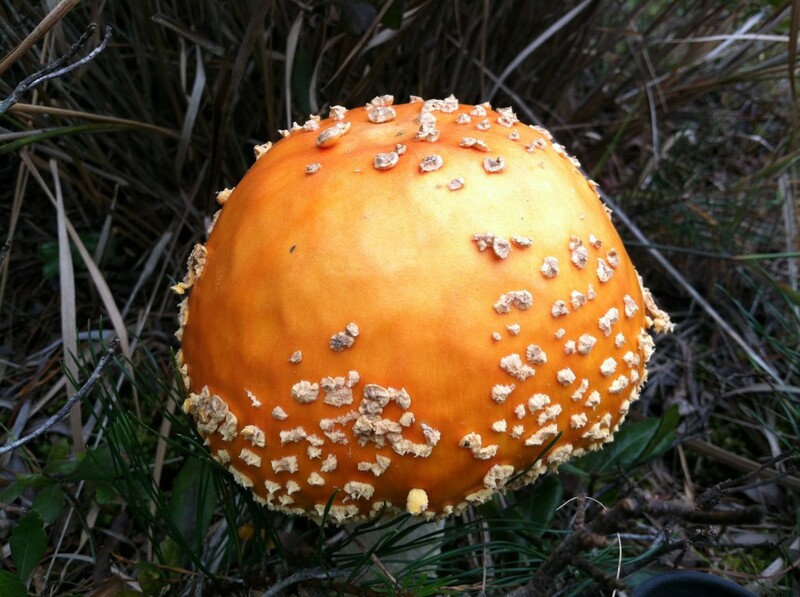 This last one, the Amanita, was about 8 inches tall! It is the only one I actually know by name, but even then, I am not sure which one it is of the 600+ species included under the genus Amanitas.